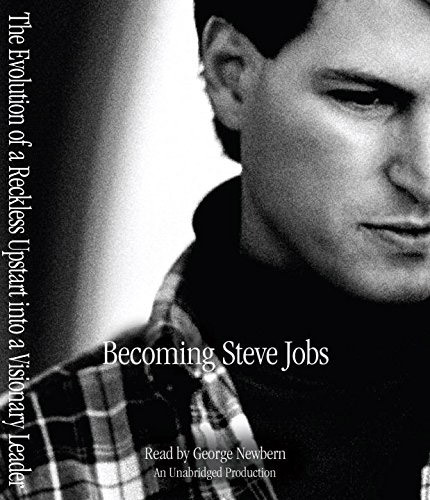 A new biography titled Becoming Steve Jobs: The Evolution of a Reckless Upstart into a Visionary claims that current Apple CEO Tim Cook offered Mr. Jobs part of his liver, an offer that was declined. The book comes out on March 24th, but an Amazon preview gave Cult of Mac's Luke Dormehl access to much of its content—that preview has since been sharply reduced. Written by Brent Schlender and Rick Tetzeli, Becoming Steve Jobs was based in part by interviews with Steve Jobs conducted by Mr. Schelnder over a 25 year period. But the authors also were given interviews by Tim Cook, Sir Jony Ive, Eddy Cue, Pixar’s creative head honcho John Lasseter, Disney CEO Bob Iger, and Steve Jobs’s widow, Laurene Powell-Jobs. I thought the Isaacson book did [Jobs] a tremendous disservice. It was just a rehash of a bunch of stuff that had already been written, and focused on small parts of his personality. You get the feeling that [Jobs was] a greedy, selfish egomaniac. It didn’t capture the person. The person I read about there is somebody I would never have wanted to work with over all this time. Life’s too short. Mr. Cook's perspective is unique and outstanding, of course, but I didn't come away from Mr. Issacson's book thinking those thoughts. Regardless, many did, and Becoming Steve Jobs may well paint a more nuanced picture of the tech icon. It should also be noted that Steve Jobs himself pursued Walter Isaacson to write the book, giving the journalist and biographer unprecedented access to his life. One of the book's bigger revelations is that Tim Cook offered Steve Jobs some of his liver. After discovering they shared the same blood type, Mr. Cook traveled, "far from the Bay Area, since he didn’t want to be recognized" in order to get a battery of tests before making the offer. Only Mr. Jobs turned him down. "Somebody that's selfish doesn't reply like that," Mr. Cook said. Mr. Jobs was battling liver cancer, a battle that eventually claimed his life in 2011. Another interesting tidbit is that Steve Jobs and Disney CEO Bob Iger discussed a joint venture to buy Yahoo!, a move that would have given Apple a foothold in the search business. Such a move might have allowed Apple to cut ties with Google, but a deal never materialized. The last major bit to mention is a comment from Steve Jobs on TV. In Walter Isaacson's book, Mr. Jobs was quoted as saying he had "finally cracked" the code for an Internet-connected TV. Going back to the mid 1990s when Steve Jobs first returned to Apple, the book said Mr. Jobs told Jony Ive, "I just don’'t like television. Apple will never make a TV again." That may well be, but Mr. Jobs also told investors Apple wouldn't make a video iPod roughly six months before Apple released the first video iPod. I wouldn't put too much stock in a quote that old when, especially when we have much newer and very frequent comments from current CEO Tim Cook about Apple being "very interested" in the television market. You can preorder Becoming Steve Jobs from Amazon for US$11.99 on Kindle, $21.78 in hardback, and $18.26 in paperback. You can preorder it from the iBooks Store for $12.99.